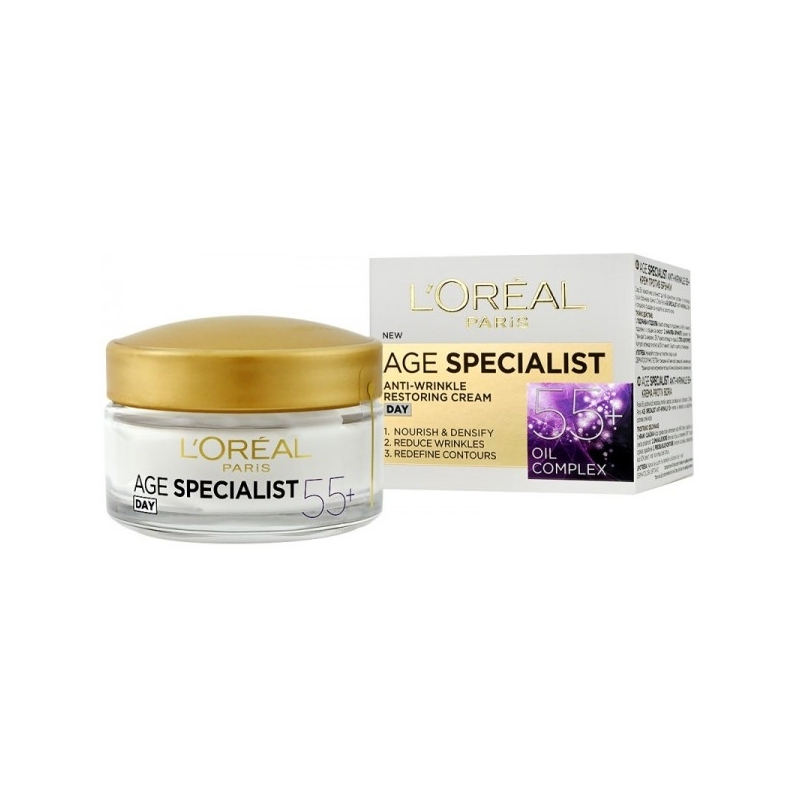 Nourish and care for mature skin with the L'Oreal Paris Age Specialist 55+ Anti-Wrinkle Day Cream. The rich cream is enriched with Rice Extracts and Glycerin to provide deep hydration, Apricot Kernel Oil to activate skin metabolism, and Beeswax to nourish and protect your skin. Massage the day cream onto your face and neck every morning, your skin will be left soft, smooth and feeling lifted with renewed elasticity and visibly reduced wrinkles. 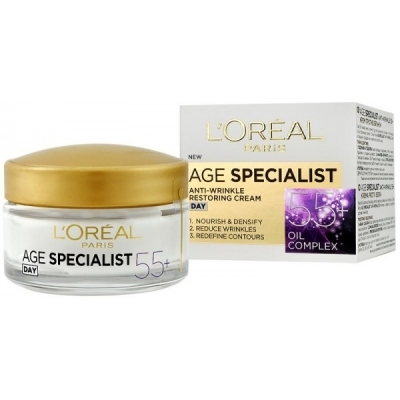 L'Oreal Age Specialist 55+ Anti-Wrinkle Day Cream contains 50 ml.